Killings in Kenya may soon all but eradicate several species of giraffe that have already suffered huge losses. A rise in wildlife killings in East Africa has put several giraffe populations in serious danger, according to a new report from Science. Due to encroaching refugees and herders, giraffe killings in Kenya have surged to troubling new levels over the last several months. Drought and overgrazing have driven cattle herders into wildlife reserves in northern Kenya that are home to giraffes. Meanwhile, violent conflicts in nearby countries like Somalia and South Sudan have forced many refugees out of their homelands and into Kenya’s reserves as well. Given this new influx of people in the parks, it has become harder for officials to protect the animals in their care. Lacking significant resources and opportunities for work, many refugees in northern Kenya have resorted to eating “bushmeat,” that of non-domesticated jungle and savannah species, for food. Poachers have also taken advantage of the chaos caused by drought and conflict to increase their killing of protected animals. Although all protected animals are being affected by this increase in killings, giraffes are one of the species suffering most. This is because they are easy targets for hunters due to their large size. Even before this most recent wave of killings, giraffe populations had already been on the decline for decades. 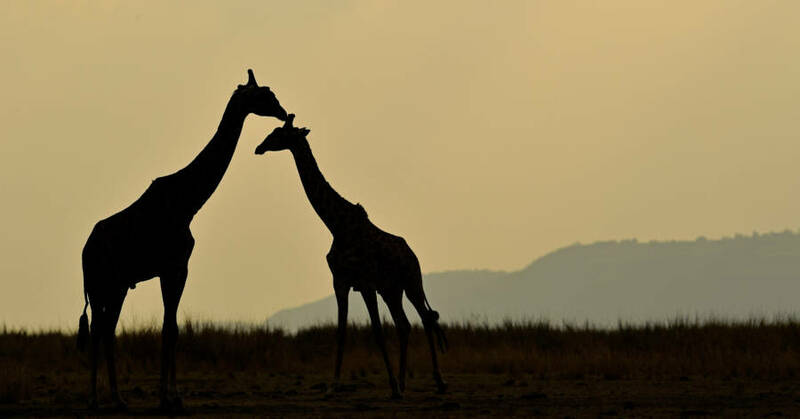 The two populations of East African giraffes (Nubian and reticulated) have declined by 97 percent and 78 percent respectively in the last 30 years. What’s more, giraffes have a low reproductive rate, with many giraffe pairings only resulting in two to three viable offspring. And with this latest rise in killings, Kenya’s giraffe populations may now be in greater danger than ever before. Next, read how the rhino horn trade is threatening rhino populations in Africa. Then, see how African park rangers are using drones to fight elephant poaching.